New Pull over Slick It Up Macho Head Hoodie. Francois could wear a garbage bag and he would look amazing. He really is a unique beauty. 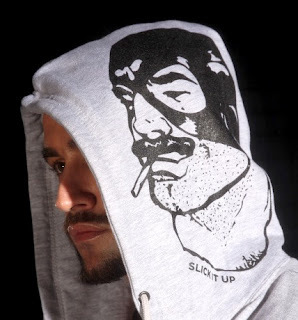 David, this is a $25 hoodie with a SIU silkscreen on it that somehow makes it worth $74?! 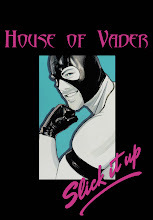 Look, your SIU leatheresque fetish wear is worth the money but I'm having a hard time with prices of your activewear and swimwear. Really pricey stuff, unique mainly because it has an SIU patch or logo. Phillyguy, Im not sure youre aware of the cost of producing something in America. Most Americans almost exclusively buy products made in China by slaves and have no concept of what the cost is to manufacture, ship, advertise, pay staff, AND turn a profit. Chinese products are so invasive people cant image living in a world where things are made for a fair price. Its bizarre to think but for example think of Christmas. Americans buy a fake tree made in China, cover it in plastic made from china, then in lights made in china then wrap gifts made in china and put them under the tree and think its an AMERICAN TRADITION?! ?So im going to need for you to reconsider your position. If you come to any store in New York a hoodie for 74.00 is REALLY INEXPENSIVE. 74 dollars is actuall NOT expensive AT ALL. In fact i cannot do wholesale because my prices are so low so therefor they can't be split in half for a wholesale price. I understand theyre not walmart prices but unlike Walmart our product is American, made by Americans, and designed by Americans and to say were too expensive is to not support America and therefore youre a communist threat and a force of evil and potentially Satanic. Well, I checked American Apparel, who also makes clothes exclusively in the US, and their hoodies run about $50 so I guess your customers are paying an extra $24 for silkscreening. $74 just seems like a lot to me. I don't squabble about your fetishy items prices but your activewear and swimwear are too rich for me.